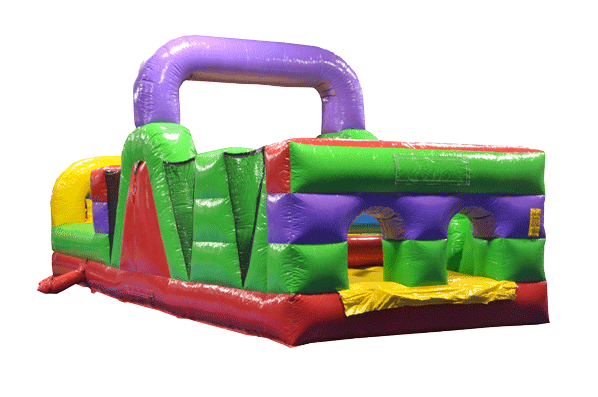 This 30 ft Obstacle Course is a great addition for all events. It features a rock wall, rats holes, pop-ups, and many more. 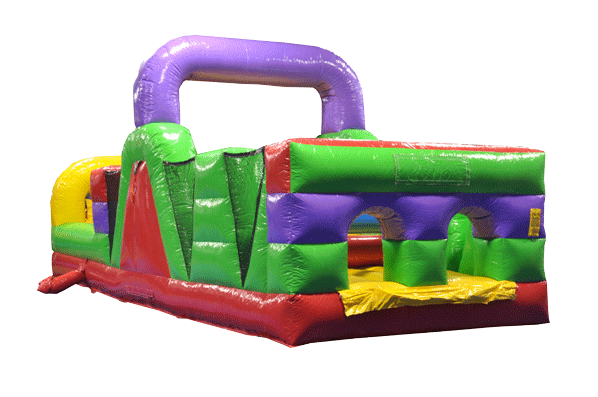 This inflatable can be combined with our 7 Element and 30 ft Long Rock Wall Slide to complete our 100 ft Mega Course. This two person race to the finish will keep your guest entertained for hours.